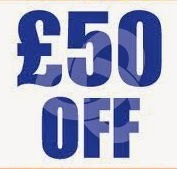 Guestline are running a #FreebieFriday competition to win 1 of 5 £50 discount vouchers off your next Guestline order! All you have to do to be in with a chance of winning is tell us where Guestline’s global division is run from! Go to Twitter - https://twitter.com/Guestline and reply to our competition tweet! What a great competition! I will write a 1000 word essay about it. If you don't mind.